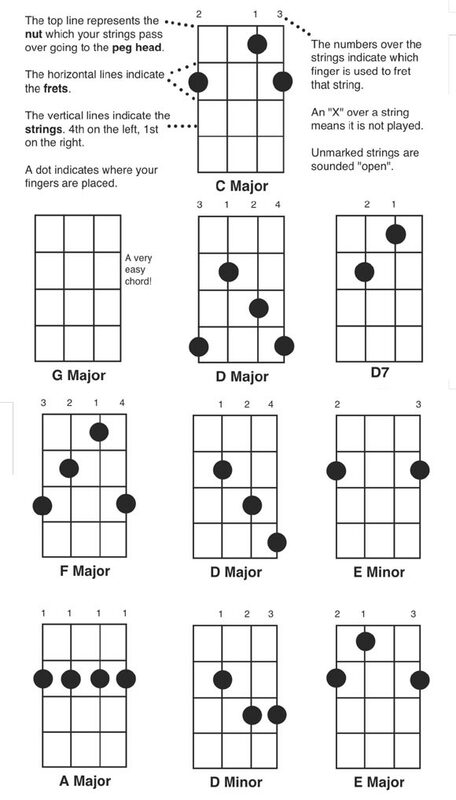 Here are the most common banjo chords in standard G tuning, Several of these are super easy chords, such as the G and the D7. Learn them first! Bookmark this page so you can find it easily in the future. Or click on the image to download this chart as a free printable PDF file. Back to Brad's Lesson Index.